www.rootlinks.netのSSLサーバ証明書再更新(DigiCert) ← RootLinks Co., Ltd.
We’re not sure if you’re aware, but as of October 31, 2017, DigiCert, Inc. completed the acquisition of Symantec Corporation’s Certificate Authority business which includes all website security assets related to SSL & PKI (GeoTrust, Thawte & RapidSSL). This is great news! The transition is already completed and there is some end-user ACTION REQUIRED, but don’t worry, DigiCert is an award-winning and innovative Certificate Authority leader that’s 100% focused on premium SSL & PKI solutions only, so we’re all in good hands. To comply with these new browser requirements for your SSL certificate product, you will need to RE-ISSUE some of the SSL certificates you’ve ordered from us. ･If an SSL Certificate was issued before June 1, 2016 and expires after March 15, 2018, you have until March 15, 2018 to re-issue that SSL certificate. 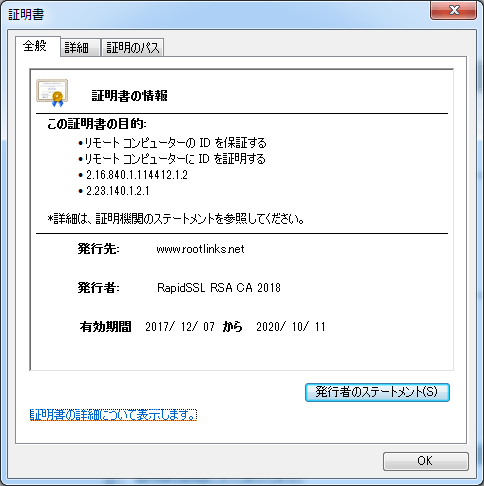 ･If an SSL Certificate was issued between June 1, 2016 through December 1, 2017 and expires after September 13, 2018, you have until September 13, 2018 to re-issue that SSL certificate. 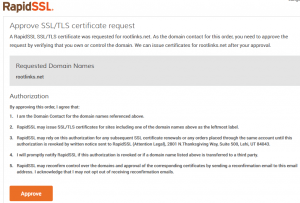 RapidSSL has received a request to validate your domain: rootlinks.net. Congratulations! 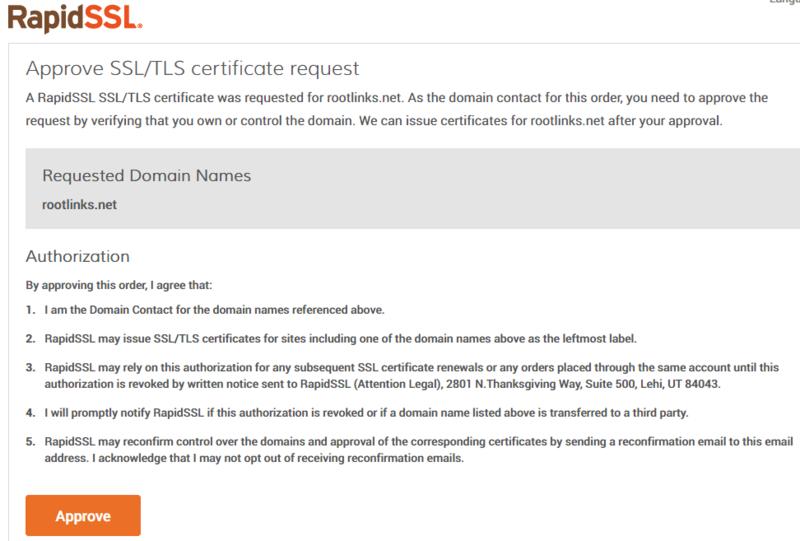 GeoTrust has approved your request for a RapidSSL certificate. Your certificate is included at the end of this email.